Summer 1991. Sheila and Allie meet at Camp Gentile. They would seem to be BFFs forever if it wasn't for some strange goings-on this summer. Like, what's with that deranged camp director Ms. Kagle, or those ghost sightings, or that creepy cool guy Johnny Castle, and definitely that ancient, magical amulet? Seriously, what's with that stuff? I'm pleased to get my little theatre company, Audacity Theatre Lab, back up and cooking after nearly half a year of nothing. This is but the first of a whole slew of good things coming down the chute. 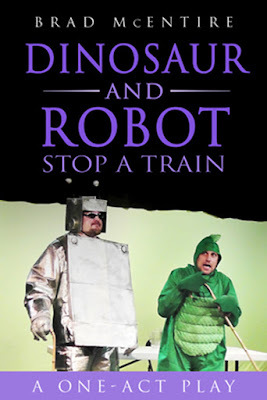 I am also pleased to return to the weird, warped little world of playwright Matt Lyle (author of HELLO HUMAN FEMALE). He is collaborating with ATL's Jeff Swearingen and our wonderful colleague in Austin, Chris Humphrey, this time. 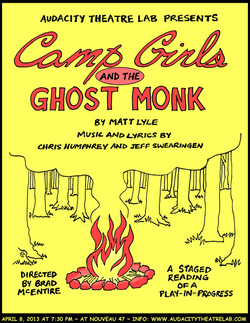 The result will be a quasi-musical mess of awesomeness called CAMP GIRLS AND THE GHOST MONK. 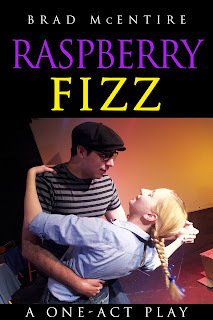 We're doing a reading - sans the music stuff - at Nouveau 47 Theatre, April 8, 2013 at 7:30 PM. More details coming soon. At Nouveau 47 Theatre in the historic Magnolia Lounge (Margo Jones Building), Fair Park, 1121 First Ave., Dallas, TX 75210. More info HERE.